BEAUTY with BRAIN is hard to find but this phrase is not applicable to Rupali Sharma, who is an energetic women entrepreneur, founder, and the lady behind Aegte. 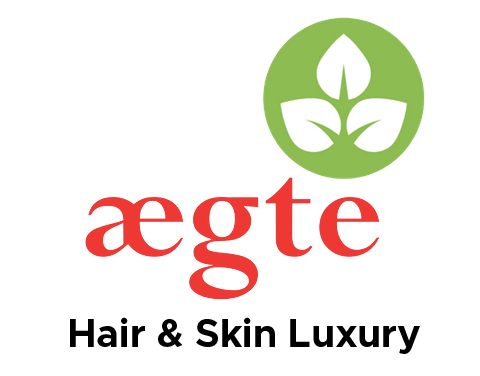 Aegte is a woman run company, born in August 2018, and brought up in Delhi India, which offers a myriad range of skin, and hair care essentials. Let us introduce you, what the company name actually means, Aegte is a Danish word which means Authentic, it was Rupali’s call to name the company, because since her teenage she was very fond of beauty but not at the cost of toxics hence, she also believes in the potential of nature, and authenticity of “Dadi, Nani ka Nushkha “. By keeping natures potential in mind, she decided to incorporate the natural element with science, later on, she started her baby company in mid of the year 2018 and we call it Aegte. Aegte worked on getting most out of natural ingredients to bring your real inside out, Rupali always believe that you can also look beautiful naturally as well as with makeup, so if you don’t want to hide behind layers of makeup, there is no need to carry the baggage of looking pretty all the time and hiding behind layers of makeup, then you can choose our natural skin care range, on the other hand if you are an makeup addict you can opt for our exclusive makeup range. If you dream of having perfect skin and hair, and don’t want to implement chemicals to your skin then you can apply our natural care range, you can achieve your inner beauty with the goodness of natural products too. Aegte natural care range is an assemblage of cruelty-free skincare, haircare, and beauty products which are made organically with ingredients like red onion, bhringraj, amla, 24-carat gold, fruit extracts and much more, no sought of chemicals are used to create the products. Just as we are the biggest admirer of nature, we believe women always deserve the best, authentic, and pure, within pocket-friendly price, to achieve so our team personally pick the ingredients used in the products, and each product strictly goes through various steps to pass the parameters. On the counterpart we have a complete makeup range for those who want to be more attractive with makeup and want instant beauty. In today’s hassle no one has time to pamper skin and hair, in this scenario, Agete came to action to treat your skin with our premium product range, within few months we are blessed with so many happy customers, our products are now broadly available everywhere including our Website, Amazon and Flipkart. Aegte wants to be your companion in this journey, and want you to discover your inner beauty, as your beauty buddy we take care of your beauty needs with our products but also want to make it simpler for you by delivering the products at your doorstep. So what are you waiting for STOP READING. START ACTING...!